Spend enough time biking around a major city, and eventually, your bike will probably be stolen. Theft is an unfortunate fact of bike commuting. 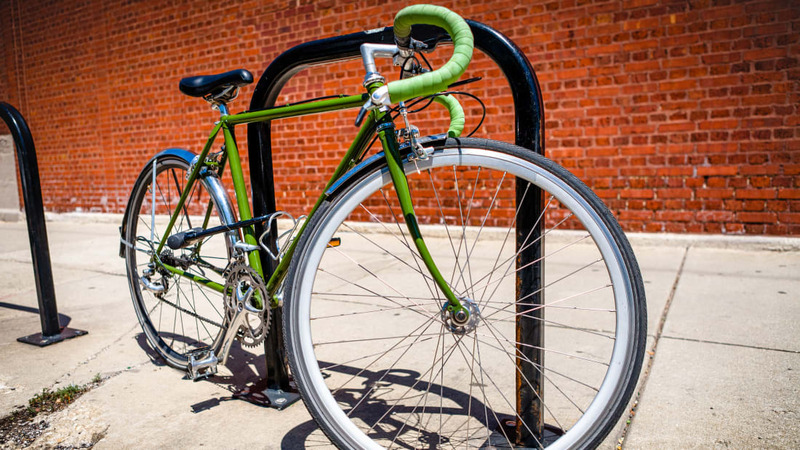 The National Bike Registry estimates that as many as 1.5 million bikes are stolen each year. One survey in Montreal found that half of regular city cyclists have had their bikes taken, while other data suggests that a bike is stolen every hour in Seattle. But it's not inevitable that you'll lose your bike. Registering it, as Lifehacker urges, is your best shot at getting your bike back in the event that it's swiped. Before you hit the streets, look up your options for registering the serial number with local authorities. If you don't register your bike in any way and it is stolen, it will be hard for you to get it back. Even if the police do find it and recognize it as stolen, they have no way of identifying it as yours. If it's registered, it also makes it harder for thieves to turn around and resell it. Several cities and university campuses have programs designed to help police spot and return stolen bikes. In New York, for instance, your local police precinct can engrave a special serial number on your bike and give you a decal that identifies it as an NYPD-registered bike. In Chicago, you can register your bike online before picking up a sticker at your local precinct. In both cities, if a thief peels off the police-provided sticker, the word "void" appears underneath, alerting police to its stolen status. Other cities leave bike registration up to outside groups like Project 529, an international database for tracking bikes and reporting thefts. You can use the 529 Garage site to register your bike, report it as stolen, send police and insurance companies your bike's info, or cross-check listings to make sure the used bike you're buying isn't stolen. The information you need to register your bike varies between police departments and organizations, but chances are, you’ll need a serial number. You may also need to include a detailed description of the make and model, a photo of the bike, and a photo of your receipt from buying the bike. If your bike does get stolen, you can give this information to police and local cycling shops so that they can keep an eye out for bikes that look like your missing one. The more information you give, the easier it will be for them to spot your bike after it gets stolen. While you can file a police report with this information after the fact, it's a lot easier to write it down when you first buy your bike, rather than struggle to find some record of the serial number when your bike has already gone missing. Register your bike with Project 529 here. You can also buy a 529 Shield sticker that serves as a unique identifier for your bike, adding yet another piece of data that police can use to track down your bike.